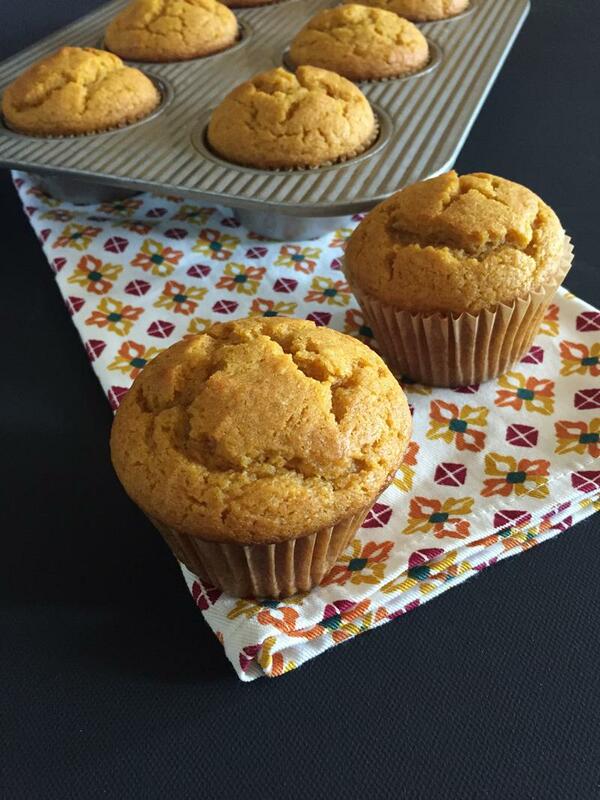 Pumpkin muffins are a must make for a delicious fall breakfast or snack! I have been making these pumpkin muffins for years. Literally years. And I just realized that I had never shared them with you. I knew I immediately needed to fix that. These muffins are based on a pumpkin bar recipe that I have also made for years. 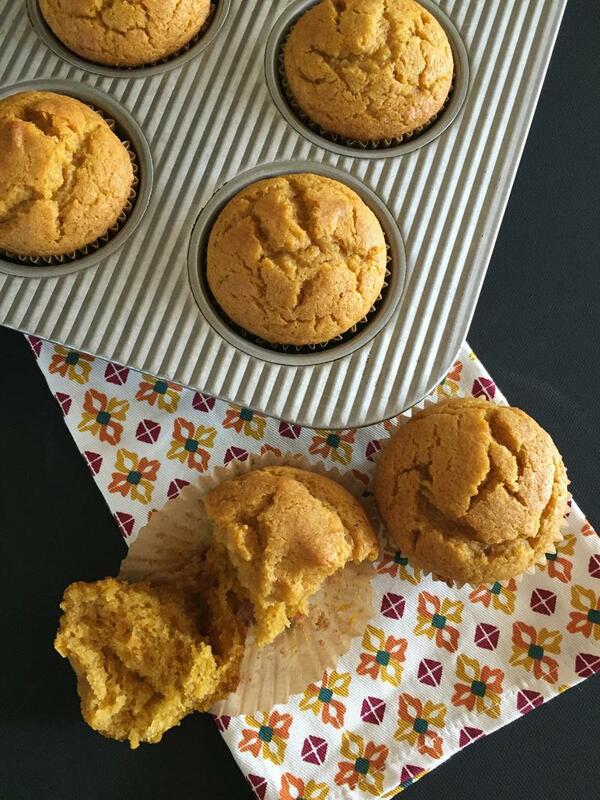 My kids loved the pumpkin bars and I knew that I could easily turn them into muffins with a few changes. I changed the recipe slightly, left off the frosting, and turned them into muffins. 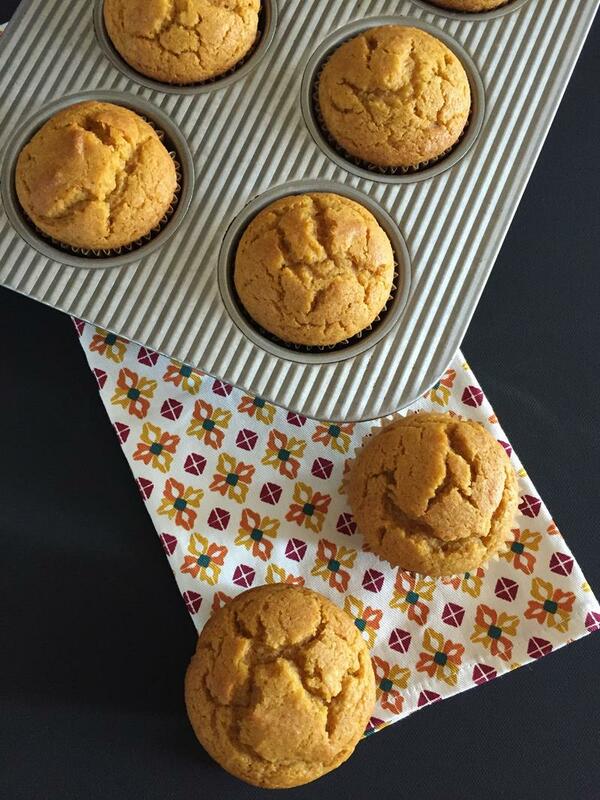 The result quickly became our favorite pumpkin muffins that I have now made for years. You can change these up and stir in some chocolate chips to the batter for chocolate chip pumpkin muffins. You can also frost them for cupcakes. I have done that as well. However, my favorite way to make them is as a plain pumpkin muffin. No matter how you make them they will be delicious! I am also sharing how I made these gluten free. I just used Bob’s Red Mill 1 to 1 Gluten Free Flour blend. I don’t use a blend in very many muffin recipes because I usually prefer muffins without the xanthan gum. The pumpkin in this recipe though gives it a such a great taste and texture, that the blend works fine. So if you are gluten free give the blend a try. In a mixing bowl beat together eggs, sugar, oil and pumpkin until light and fluffy. In another bowl stir together the flour, baking powder, cinnamon, salt and baking soda. Scoop into muffin pan filling each cup 3/4 full. Makes about 18 muffins. Bake for 18-20 minutes or until toothpick inserted into the center comes out clean.